Many neighborhoods in NYC have a blob over them, from light to dark blue, meaning low to high average rent (across all kinds of apartments). Hold your mouse over any of the blue blobs to view neighborhood name and average rent. Note that some numbers are skewed because of a high prevalence of public housing (e.g. LES, Williamsburg, East Harlem). 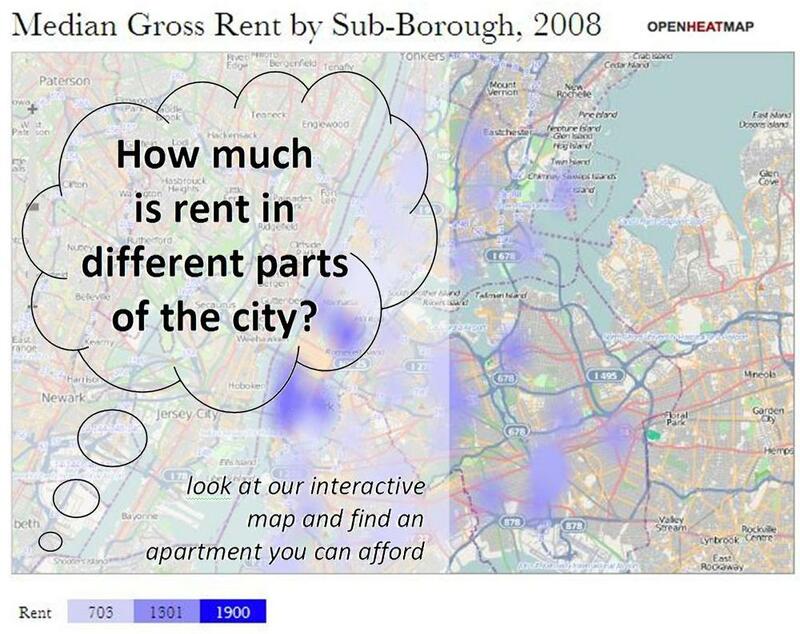 Information is from the NYCHANIS: The New York City Housing and Neighborhood Information System, a project of the Furman Center for Real Estate and Urban Policy, New York University School of Law. Click here to access the data.